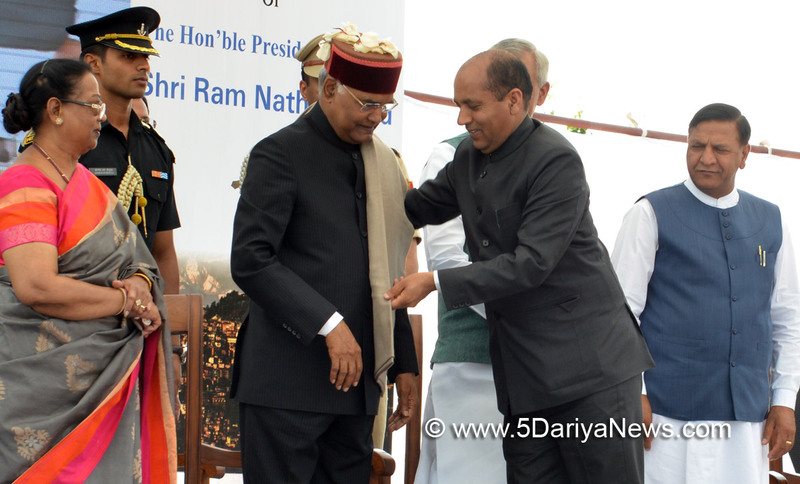 The President of India,Ram Nath Kovind, addressed a civic reception hosted for him by the Government of Himachal Pradesh in Shimla today (May 22, 2018).Speaking on the occasion, the President praised Himachal Pradesh as an important centre for culture, tourism and the spiritual tradition in our country. He was happy to note that the state government has inaugurated the ‘Nai Rahen, Nai Manzilen’ scheme to expand the opportunities for tourism in the state. He also noted that several other steps were being taken to promote tourism, including through the ‘Swadesh Darshan Programme’.Praising Himachal Pradesh as the land of brave war heroes such as Major Somnath Sharma and Captain Vikram Batra, both of whom were awarded the Param Vir Chakra posthumously, the President said perhaps every village in the state contributes to the armed forces. He said that the number of former servicemen in the state was estimated at over 110,000.The President appreciated Himachal Pradesh’s success in literacy and education, women's empowerment, sanitation, rural infrastructure, social indices, horticulture, hydroelectricity and other areas. He said the state offered a developmental model for other states in the Himalayan region.